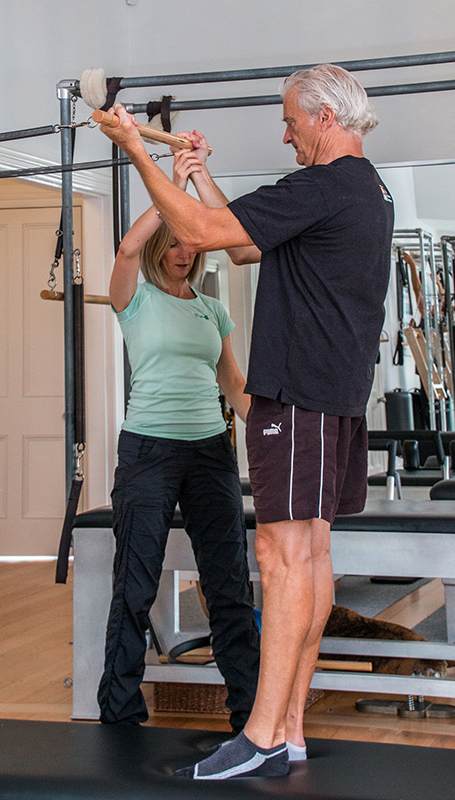 At the heart of the True Pilates approach are our one-on-one, personalised sessions. Our bespoke lessons recognise that everyone’s body has different needs and are at varied stages of Pilates’ knowledge. We also offer duet sessions and our mat classes allow up to four people per lesson. 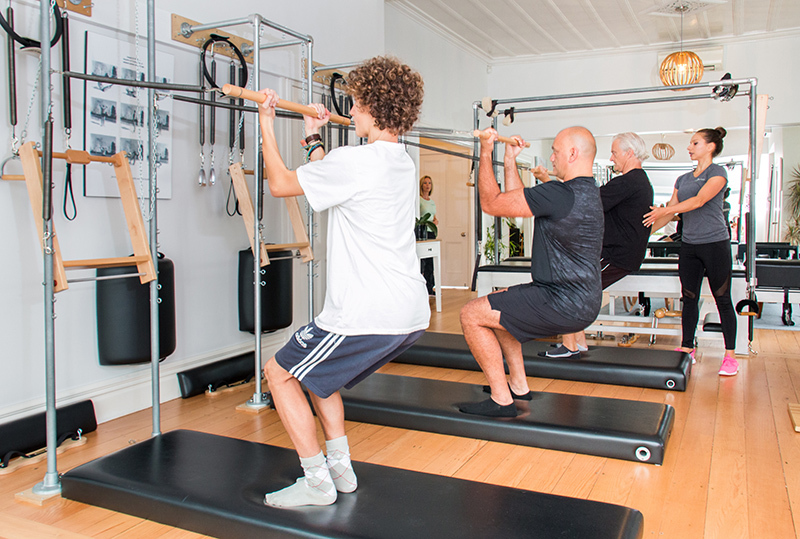 Our Authentic Approach encompasses the variety of techniques that make up true Pilates, including Reformer and Tower Classes. All classes run for 55 minutes. We offer different pricing levels based on the experience of our teachers and to suit different budgets. We’ll work with you to find the best programme and instructor based on your needs. Our personalised approach means that we offer sessions by appointment only and bookings are essential. You can book by phone or email. A personal one-on-one session tailored to your needs is the best way to enjoy Pilates. This isn’t a one size fits all approach; we change the exercises as you progress, to ensure your body is working at its peak. If you’re new to Pilates, we recommend our Starter Pack, which consists of five sessions that get you started on your Pilates journey, to learn the basic principles and exercises. Our duet sessions are ideal for two people who are at a similar level of fitness and ability. Bring a friend or partner if you wish, or we can carefully match you with another student. You’ll work on different apparatus and this suits people who’d like a personal approach, but are motivated by others when exercising. With a maximum class size of four, you’ll still receive personalised attention during your session. So that you’re working with other people similar in fitness and knowledge, we assess all our group clients, so that you’re perfectly matched. Our beginner/intermediate classes focus on teaching technique and alignment, while allowing you to become familiar with the basic principles of Pilates. 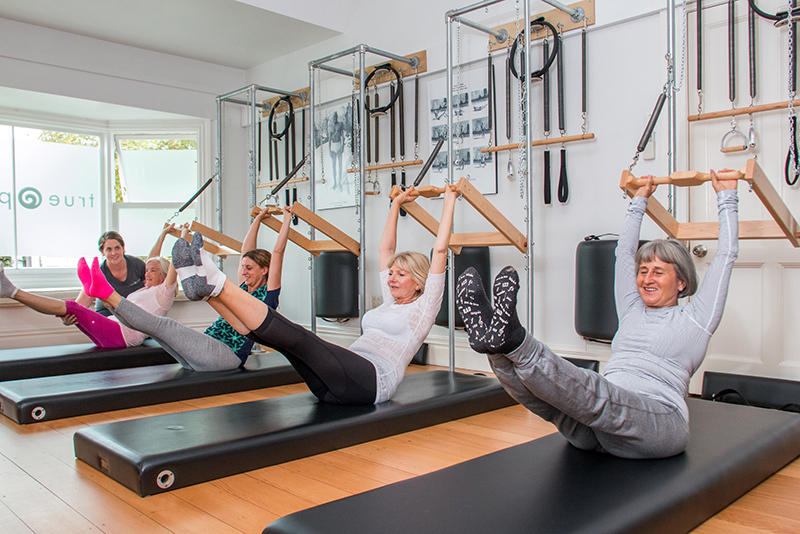 For more experienced Pilates practitioners, our group classes offer a challenging environment for the mind and body, focuses on mastering technique, strength and flow. We complement the popular Reformer workout with a variety of techniques, combining mat exercises with the Reformer machine, to align and stretch your entire body, and provide extra resistance to get the most from your session. Our Tower classes add even more resistance and are suitable for advanced practitioners, with an even split of mat exercises and the Tower machine, to focus on deepening the stretches in your workout and making it easier to isolate your muscle groups. All cancellations must be made 24 hours before the class time to allow for rescheduling. Cancellations and/or no shows not made in advance will result in a full charge for the session. Payment for sessions is by cash, cheque or direct deposit to bank account: 12-3026-0368608-00. Sessions and packages must be paid for in advance. Packages purchased are non-refundable. All private and duet packages must be used within three months of purchase date. Please arrive on time wearing light gym clothing (without zips as they can damage the equipment’s upholstery) and sport socks. Remove watches and jewellery. During the session, please turn off your mobile phone or place it on silent.